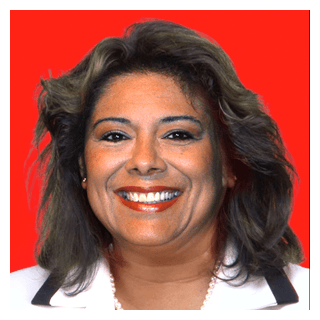 Bettina Yanez is a CERTIFIED FAMILY LAW SPECIALIST, Certified by the California State Bar Board of Legal Specialization. The Orange County Divorce attorney firm represents and handles family law cases in both Orange County and Los Angeles. 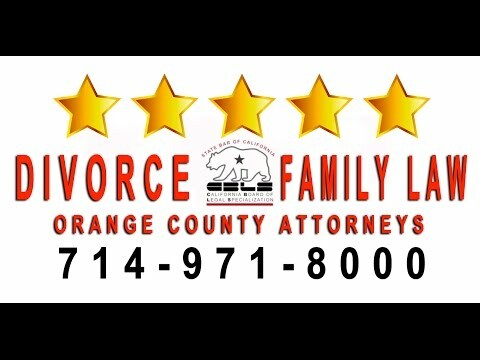 The Orange County family lawyer is located near the Orange County Family Law Court. She is a highly respected and knowledgeable OC attorney and Orange County domestic violence attorney. Attorney Yanez is a member of the California State Bar, Orange County Bar Association, Hispanic Bar Association; Orange County Women Lawyers Association. Yanez is also "un abogado de divorcio y abogada de derecho de familia" for the Spanish (bilingual) speaking. Yanez makes both female and male family attorneys available to clients. As a family law lawyer she is devoted to helping clients with both family law and divorce related issues including adoption, divorce cases, Equitable Distribution, Domestic Partnership Dissolutions, Child Custody and Visitation, Relocation/Move aways, Child & Spousal Support, Contempt of Court, Modification, Paternity, restraining orders, Interstate Child Abduction and more. The OC divorce and family law attorneys also negotiate and review Pre-Nuptial, Post-Nuptial and Separation Agreements. Practice includes Mediation and Collaborative Divorce as alternatives to traditional divorce and matrimonial litigation. Yanez also serves as an assistant public defender, representing parents that are in contempt of court for failing to pay their child support. The skilled Orange County divorce and family law attorney blends concern with stern support for her clients. Her stress-free and out going style allows her to make the people around her feel relaxed; therefore, fostering a better interaction with her clients and opposing family law attorneys. She offers a free consultation and case review for divorce cases and family law cases. Contact one of the top Orange County Family Law firms for a free consultation 714-971-8000. Serves as an assistant public defender in Orange County, California. Represents parents that are facing contempt of court charges for not paying their child support obligation. Can Custody be modified after an Orange County CA divorce is finalized? Can I file for dissolution of domestic partnership in Orange County? Can I lose custody of my children if I have been charged with domestic violence? Can I modify my Child Support Orders at a later time in Orange County? Do I need a personal injury attorney for my auto accident or can I represent myself? Do I Need an Attorney for my Divorce in Orange County? FAQ in California, Do I have to pay child support if I am not the biological father? How do I change my child’s custody, visitation and support orders in Orange County? How Do I File for Child Custody in Orange County CA if Dad does not live in California? How do I Find the Best Divorce Attorney in Orange County, California? How Do I Protect Myself from Domestic Violence in Orange County, California? How is Debt Divided in an Orange County Divorce or legal separation? How Is My Alimony Calculated in Orange County CA? How is my Child's Custody Determined in Orange County & Los Angeles, CA? How Long Does a Divorce Take in Orange County California? How will the Age of a Child Play a Role in my Custody Agreement in OC California? I am getting a divorce in Irvine California need attorney? If I ignore the divorce petition in Orange County what happens with the divorce case? Looking for an Attorney specializing in High Profile Divorce Cases in Orange County? What Can I Do If the Other Party Is Not Following the Court’s Orders in OC CA? What Factors are Considered for Child Custody and Visitation in California? What is a Contested Divorce in California? What is a Guardian ad Litem in my Orange County California Family Law Case? What is a Legal Separation and How Does it Differ From Divorce in OC California? What is an Ex Parte Order in Orange County, California? What Kinds of Protective Orders Exist in OC California? Why Does Juvenile Dependency Court Exist in Santa Ana, Orange CA? Will a high conflict child custody case be expensive in Orange County CA? Divorce & Family Law Firm in Orange County provide great legal service for divorce cases or any family law matter in Orange County and Los Angeles, California. - Orange County California Family Law & Divorce lawyers and Certified Family Law Specialist introduces the Firm and welcomes the community to contact them for the best legal advise. The firm has been helping families since 2000 in Orange County, Los Angeles County and Riverside County. Here are some communities, Orange, Irvine, Anaheim, Santa Ana, Newport Beach, Norwalk and many more communities. Free Consultations, call any time 714-971-8000 for any family law issue in California. Orange County divorce lawyer/attorney representing clients with cases ranging from complex divorce to paternity issues. OC divorce attorney offering affordable legal services. FREE 30 minute Consultation. http://www.yanezlaw.com http://www.yanezlaw.com/california-family-law/domestic-partnership-dissolution/ 714-665-6600 A domestic Partnership can either be terminated thru the California Secretary of State by meeting all 13 requirements or if the partnership does not meet all 13 requirements, the partnership can be terminated by filing a Petition with the Superior Court and obtaining a Judgment. A domestic partnership automatically terminate six months after the date the Notice of Termination of Domestic Partnership is filed with the California Secretary of State, if neither partner revokes (cancels) the termination before the end of the six-month period. http://www.yanezlaw.com http://www.yanezlaw.com/california-family-law/orange-county-divorce-attorney/ 714-665-6600 Divorce, also known as the dissolution of marriage, is the end of a marriage before the death of either spouse. In the United States, it is projected that roughly 31% of marriages end in a divorce, and the divorce rate is presently dilapidating. The foremost causes for divorce in the United States are infidelity, family strains, emotional and/or physical abuse, and mid-life crisis. http://www.yanezlaw.com http://www.yanezlaw.com/california-family-law/orange-county-child-support-and-spousal-support/ 714-665-6600 What is child support? Child support is a monthly financial payment by the non-physical custodial parent to the physical custodial parent towards their child's daily needs. Child support gives financial support for things such as the child's shelter, food, clothing, medical expenses, and educational costs. Child support laws guarantees that parents take financial accountability for their children, even after their marriage has ended. http://www.yanezlaw.com http://www.yanezlaw.com/california-family-law/orange-county-child-support-and-spousal-support/ 714-665-6600 Spousal support, known as alimony, is the financial payment from one spouse to the dependent spouse. Spousal support may be granted to either a husband or wife after a divorce, and it serves to help the dependent spouse continue the standard of living that was set during the marriage. 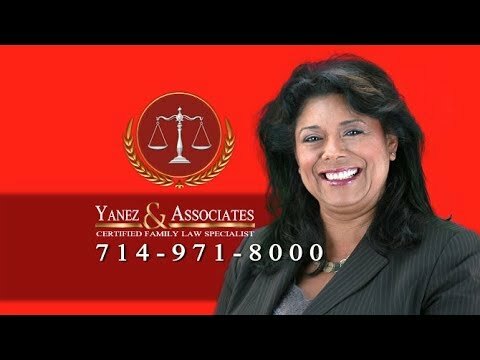 Family Law Offices of Yanez & Associates for Orange County & Los Angeles County California, helping families with their child custody and child visitation legal issues.